iPhone, iPad, iPod touch backup on External drive should be required for all Mac and windows users. You know that iTunes backup file of iPhone, iPad and iPod touch is very large file between 16 GB to 132 GB. Now it’s time to save precise space in your computer, there should be two ways: you can upload backup file on Cloud storage or you can take backup on External hard drive. 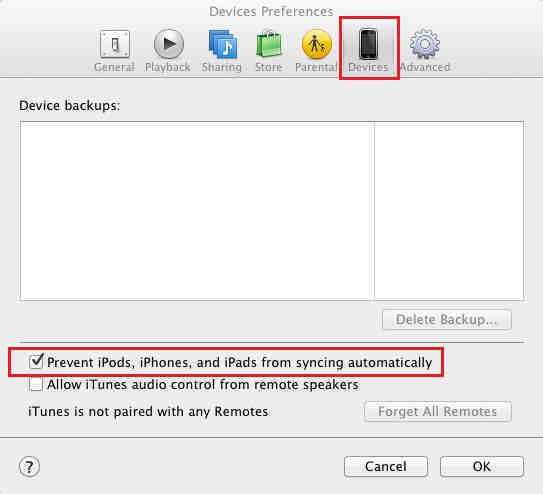 Using this article you can manage your iTunes backup on your external hard drive in secure way. You have backup of Data from iOS device on iTunes & iCloud, Then you can get it in External hard disk in below two differ easy tricks. are you interested only take backup of iTunes library Medea files to External drive? Step to get back up taken using iTunes inside Backup folder On Mac OS X. 2. Click on the Go menu, With Holding down Option key. 3. Then Tap on Library. 5. Choose Application support option. 6. Then select and open the MobileSync. 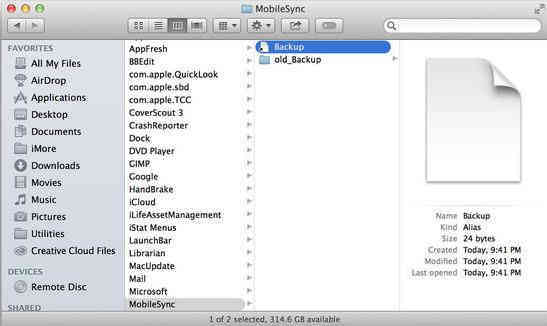 MobileSync store the entire backup file, using iTunes of your iPhone, iPad and iPod touch. Connect External Hard drive with your Mac system, and place backup file in to External drive. After copied iPhone, iPad, iPod touch backup on External drive, don’t miss to rename it with correct tag and descriptive manner. If you are finding alternate method on how to iPhone, iPad, iPod touch backup on External drive that lets try second method steps. Backup with Symbolic link create extra copy of actual backup on that place, which you given alternate save path. This method creates copy of backup on external drive or other place in Mac. Follow the below steps to create copy in your external hard drive and system root. 2. Under finder Tap on Utilities folder. 3. Tap double click on Terminal option. 4. type: ln -s /Volumes/External/ios_backup/Backup ~/Library/Application\ Support/MobileSync/Backup. 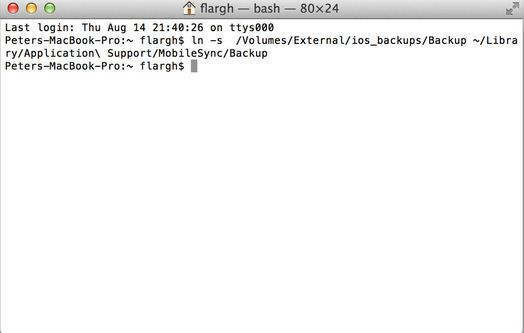 Note: You can change file save path by changing “/Volumes/External/ios_backup/Backup” from the above command line. You can see your Backup file inside MobileSync folder, that’s given in below screen. For auto backup iPhone, iPad and iPodtouch in your Hard drive, when your drive in connected with it. So Follow the below steps otherwise it gives error message when you connect your iPhone, iPad and iPod touch with Mac through iTunes. We glad by share Savvy article on iPhone, iPad, iPod touch backup on External drive in possible way. If you facing problem with doing iPhone, iPad, iPod touch backup directly on External drive than put your valuable comment n below.